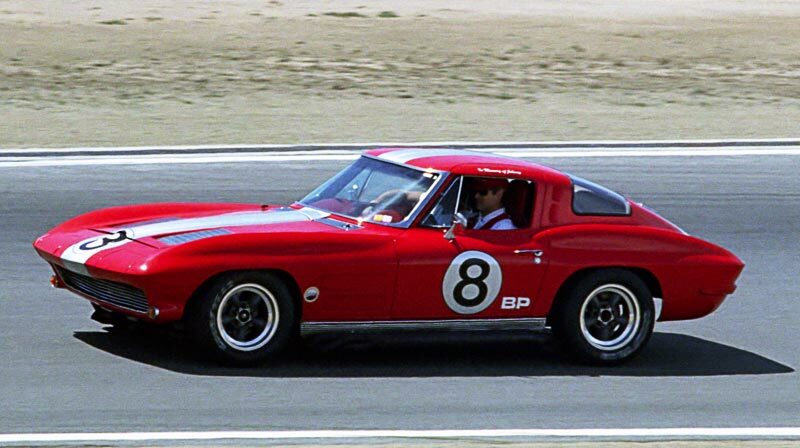 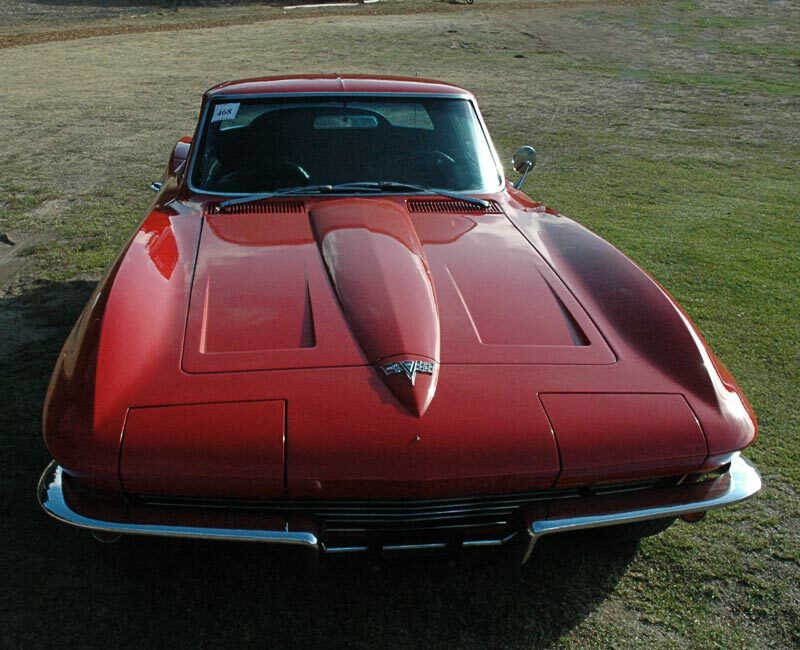 1963 was the first year of a five year run known as the "Mid Year" Corvettes. 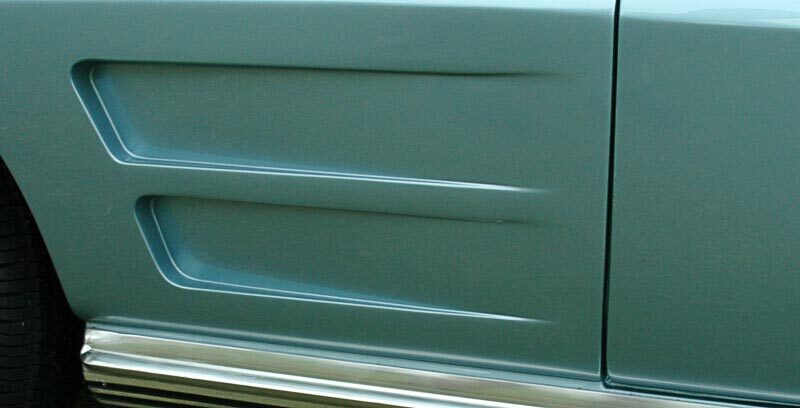 The ground breaking styling is still a high point. 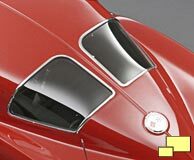 Probably the first thing a beginning Corvette spotter learns is that the split window (right) is exclusive to the 1963 coupe. 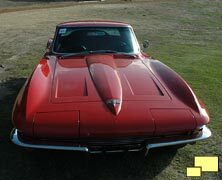 That factoid is great for coupes but not much help if the 'vette in question is a convertible. 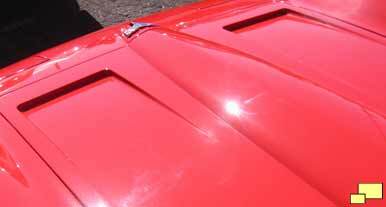 Still, identifying a '63 is easy: all 1963 Corvettes had non-functional hood vents (below), allowing easy identification of the 1963 model. Side View: Front fender of the 1963 and 1964 Corvettes featured two horizontal side indentations. 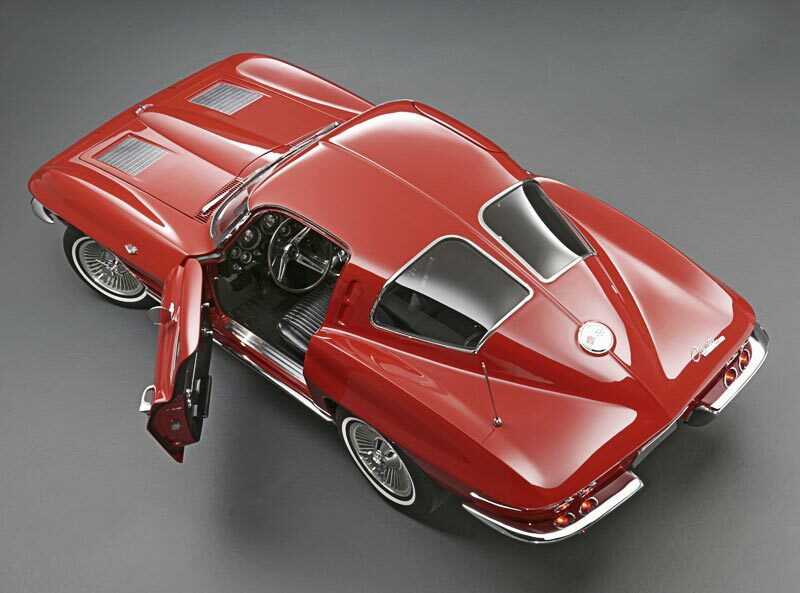 For 1964 the split rear window was gone, and would not return throughout the mid years Corvette run. 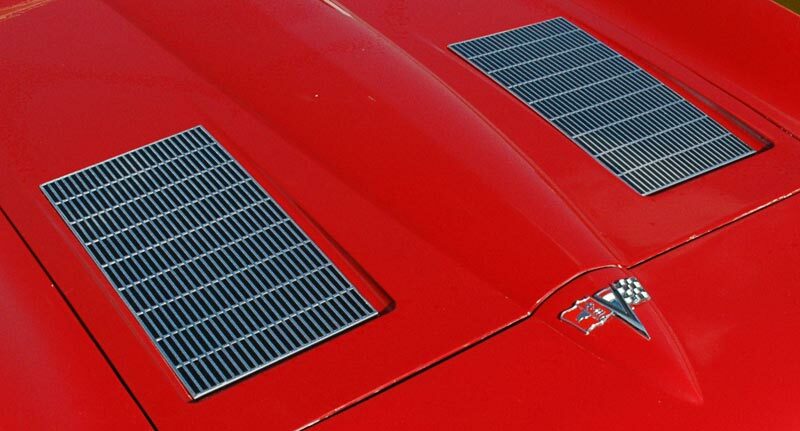 The faux hood vents also disappeared but the indentations that accommodated them remained. 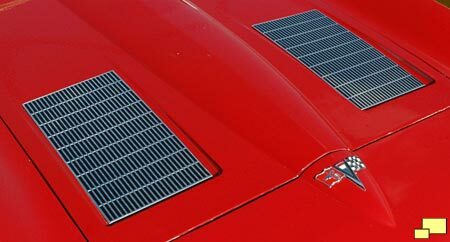 The faux hood vents without the louvers are exclusive to 1964.